The World Health Organization (WHO) has declared the ongoing outbreak of the deadly Ebola virus in West Africa to be a Public Health Emergency of International Concern (PHEIC) and humanitarian organizations such as Doctors Without Borders continue to work on the front lines to control the outbreak. The consequences of further international spread of the virus coupled with fears of wider-scale contagion have created a call for coordinated global public health actions to stop and reverse the outbreak. Other concerns should be the short or longer impacts to industry and global supply chains if the current outbreak cannot be adequately controlled. Within close proximity to the current effected region within West Africa is the country of Cote d’Ivoire, which is a major supply source for cocoa. Countries within the West Africa coastal and interior regions also produce supplies of palm oil, iron ore and other commodity materials. Beyond local sourcing are the broader implications to global transportation and logistics networks if the current outbreak spreads to other countries and spawns additional travel and cross-border restrictions. In short, industry supply chain and sales and operations planning teams definitely need to monitor the current Ebola outbreak and have some form of scenario and backup plans identified. 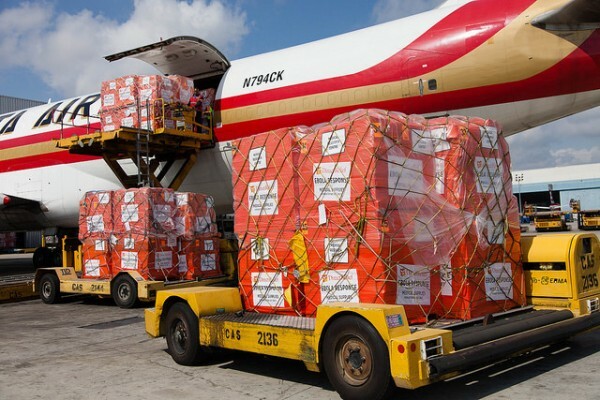 This posting serves to alert our Supply Chain Matters readers who subscribe to Accenture Academy training and webinars that this author will overview the current Ebola crisis from an industry and infrastructure supply chain perspective and provide expert perspective on the areas to watch along with considerations for building risk contingency scenarios. Accenture Academy is launching a new series termed Trend Talks, which are more compact and two-way interactive webinars that address and provide collective discussion on important, rapidly developing trends among industry supply chains. I am pleased and looking forward to delivering this inaugural Trend Talk webinar addressing this timely and rather concerning global topic. The session is scheduled for Wednesday, December 10th at 10am Eastern time with participation available only to Accenture Academy members. Readers can utilize this Accenture Academy web link for login and registration.